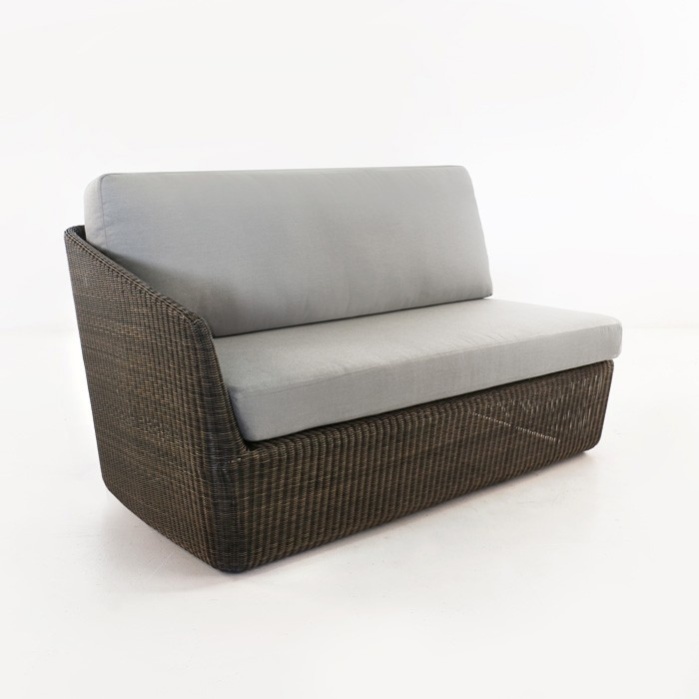 This right arm sofa is a part of the contemporary outdoor wicker sectional collection we call Brooklyn. 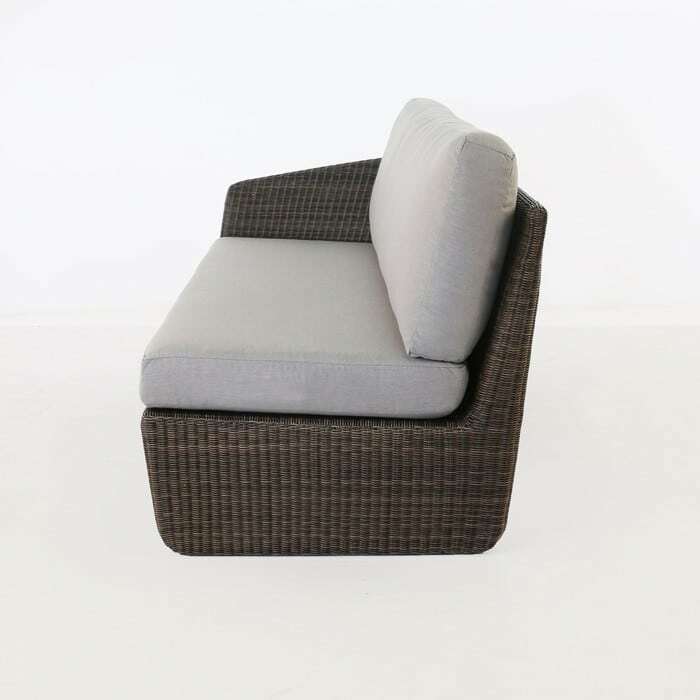 This piece offers a straight end piece for a linear or “V/L” shaped modular sectional. The arm is on the right side of the sofa as you sit in the furniture. 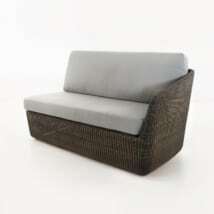 This offers a finished contemporary look for any space. The dark brown color gives it a bit more flexibility in the outdoors, due to the complement it offers to such a wide range of colors and scenery. 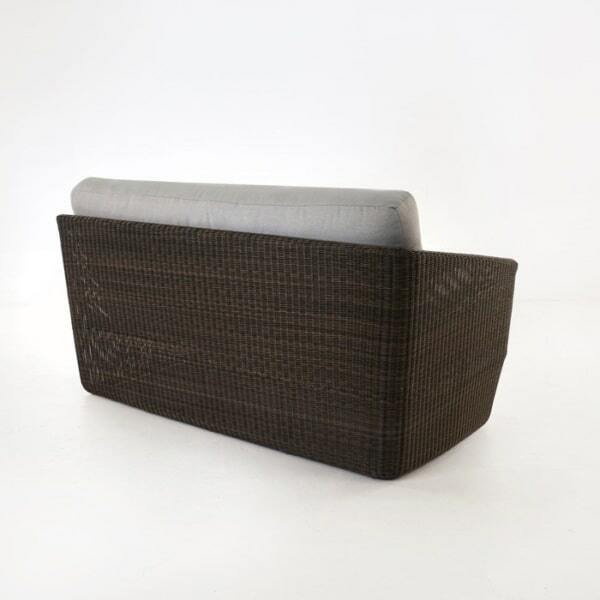 This piece is a lightweight synthetic wicker sectional component. 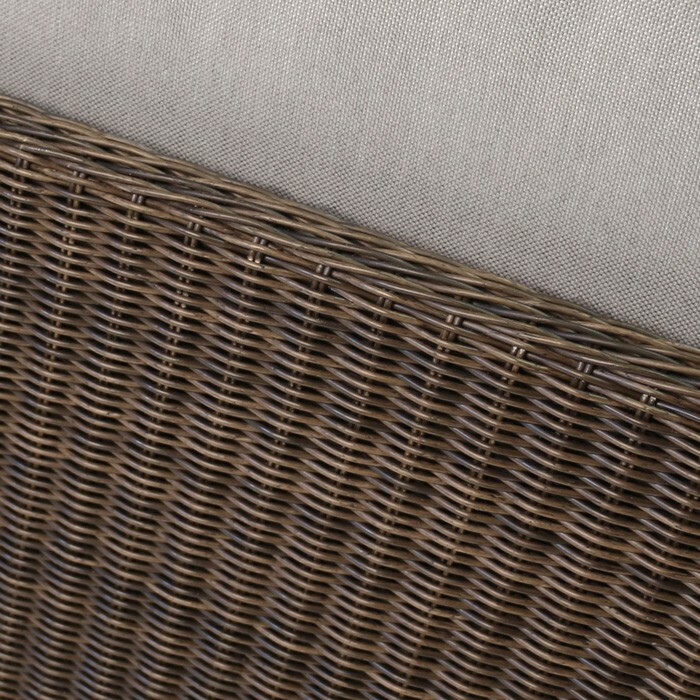 The frame is made from powder-coated aluminum and the synthetic wicker shell is made with top-tier all-weather wicker. 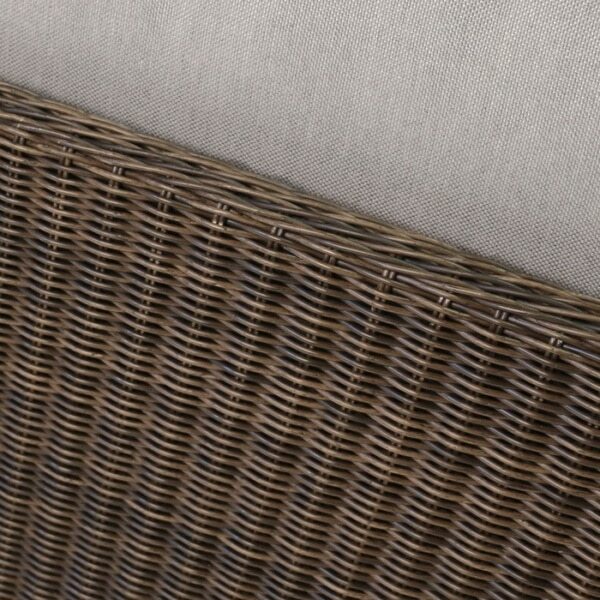 Paired with other components of the Brooklyn collection, this piece can offer a finishing touch to any sectional build. This right arm outdoor sectional sofa is available in two colors Dark Mocha and Charcoal. The color shown here is Dark Mocha. 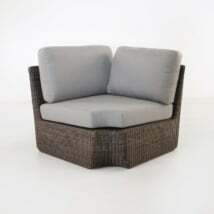 The cushions are included as shown in the pictures.